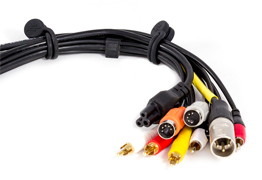 Use Twisties to bundle small and large cord bundles, and things like corded bathroom items (e.g. hairdryer cord). 6-Packs & 10-Packs - 20 Bright & Vivid Colors! 1,001 Unique Uses... And Then Some! Quickly and easily bundle and contain cords and cables on your desktop, under your desk, and on your nightstand. 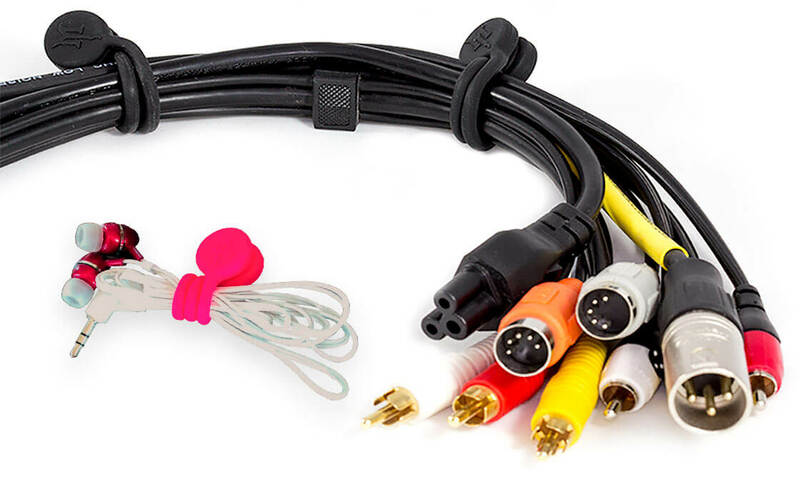 Large or small cable bundles, TwistieMag® can handle the job. 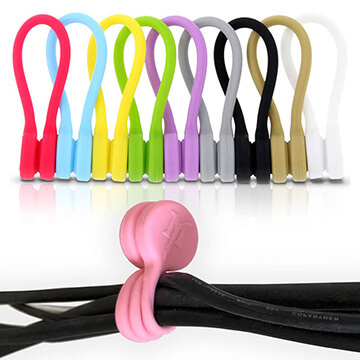 Ever ripped your earbuds out of your ears because the cord got caught on the treadmill rail? A single Twistie is absolutely indispensable at the gym. TwistieMag® saves you money. 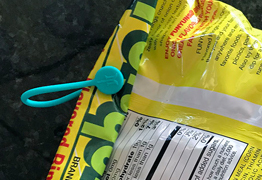 In the pantry, keep your snack chip and dry breakfast cereal bags closed, keeping your expensive food fresh longer. Wasted food = wasted money. 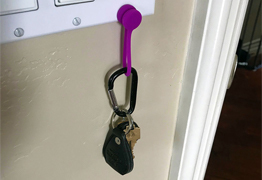 Keep a Twistie on your keychain so you can easily mount them in plain sight. At home, mount them in a common location like your refrigerator, or even a light switch. The magnets are strong enough to stick to a tiny screw. 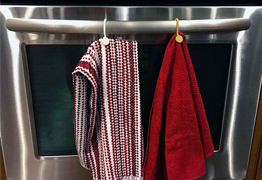 Use TwistieMag® to quickly and easily mount stuff in the kitchen....towels, utensils (also great on the grill), you name it, Twisties are up to the task! The magnets are so strong that you can pull the towel out and Twistie will snap back together and stay in place. 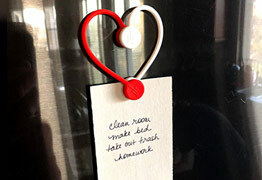 Use Twisties to hang and hold your child's artwork on the refrigerator. 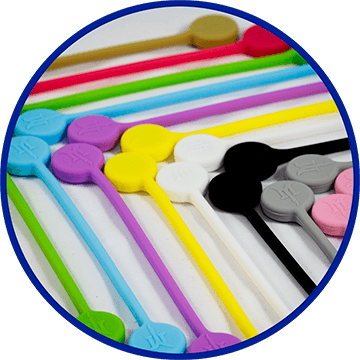 Hang and hold notes, pens, photos and other school supplies in your locker. 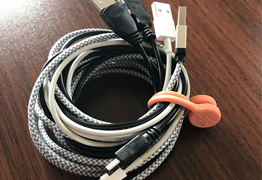 Bundle and keep all your cell phone, tablet, laptop, and USB cords together when traveling. 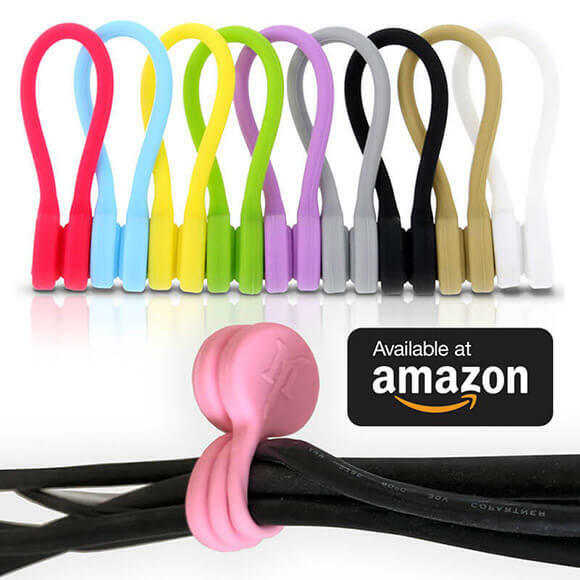 Wouldn't it be nice to know exactly where the cord you need is located, exactly when you need it? Hold Your Curtains Open. Or Closed. 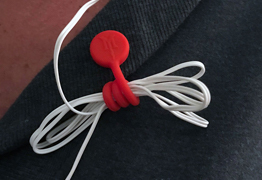 Forget about expensive curtain tie-back straps or devices. 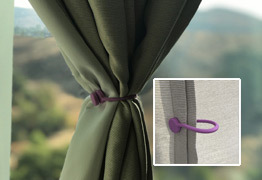 Just grab a Twistie and wrap it around to hold your curtains open during the day. Then use them to snap them shut at night. Tired of a twisted and tangled cord mess in your bathroom? 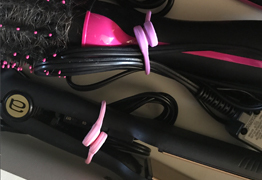 Twisties are the perfect solution to organizing your corded bathroom appliances. Attention teachers! 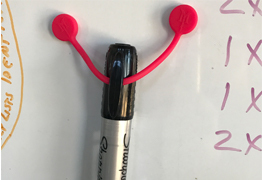 Use TwistieMag® as a quick and easy solution to holding markers, assignments, lists, and more - right on your classroom whiteboard. Attention musicians! 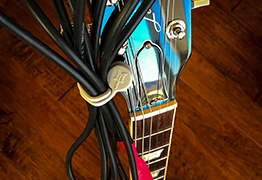 Keep a pack of Twisties in with your guitar and instrument rig to keep your cords and cables bundled together and organized. 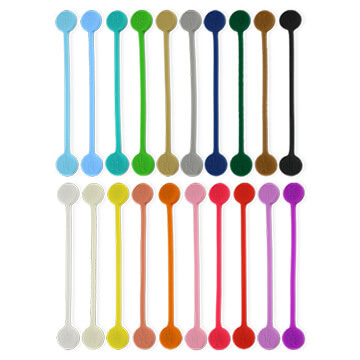 With a multi-color 10-pack, you can even color code them. 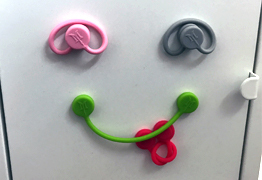 TwistieMag® is made of a proprietary blend of super-strong, super-stretchy silicone and high-power neodymium magnets. 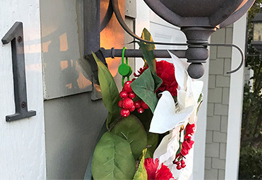 Great for the temporary hanging of holiday decorations - inside and outside. 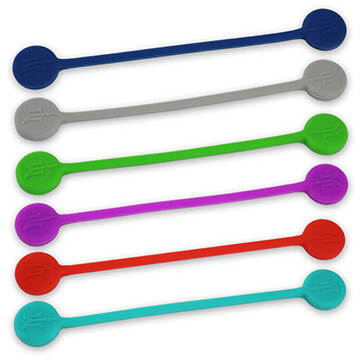 Need An Emergency Hair Tie? Since, by now, you're keeping a TwistieMag® on your keychain... Right? 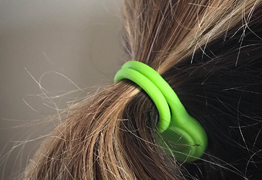 Yes, they even make a terrific ponytail holder. Everybody ❤️ LOVES ❤️ TwistieMag®! We get it. Even though you may get a better deal here, you paid over $100 bucks for that Amazon Prime® subscription. For you, we carry any and all TwistieMag® sets in our Amazon Store! Monster deals, new product pre-sales, and fun giveaways and contests. Right to your Inbox. We won't share your information with anyone. Ever.